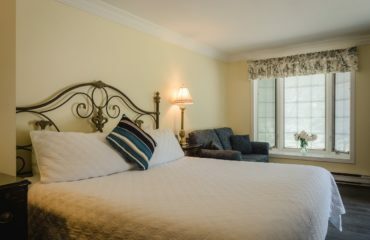 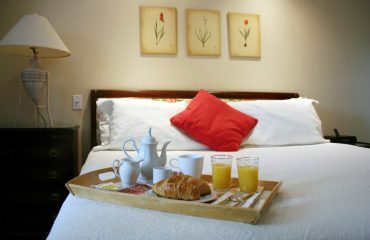 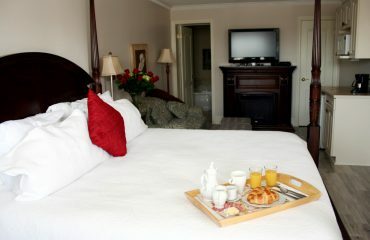 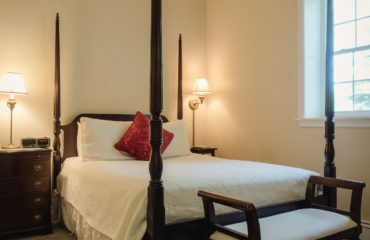 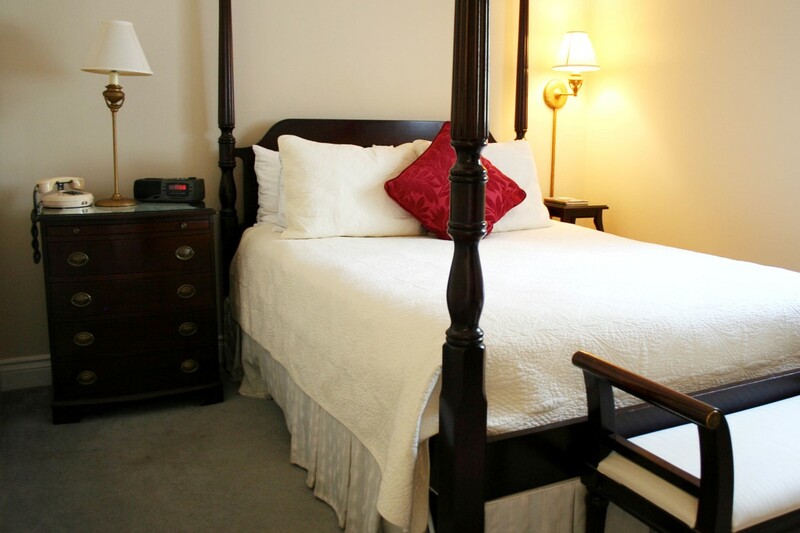 This two room suite has a separate bedroom with a queen size bed. 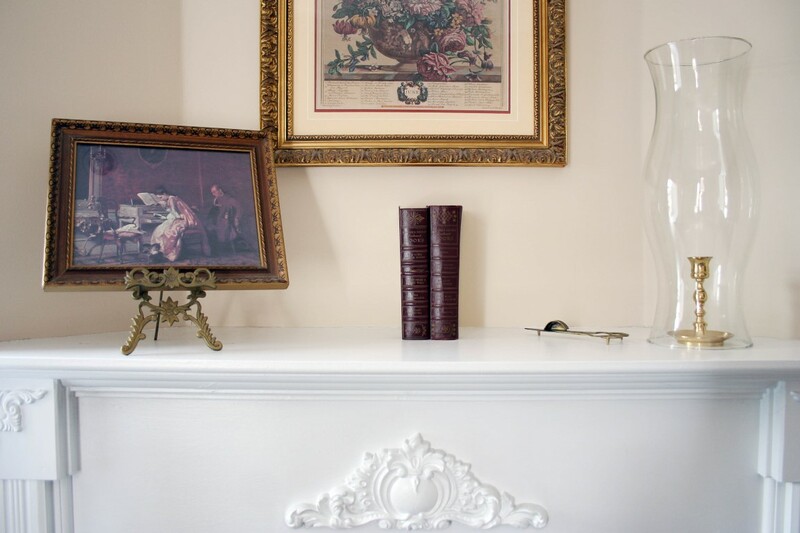 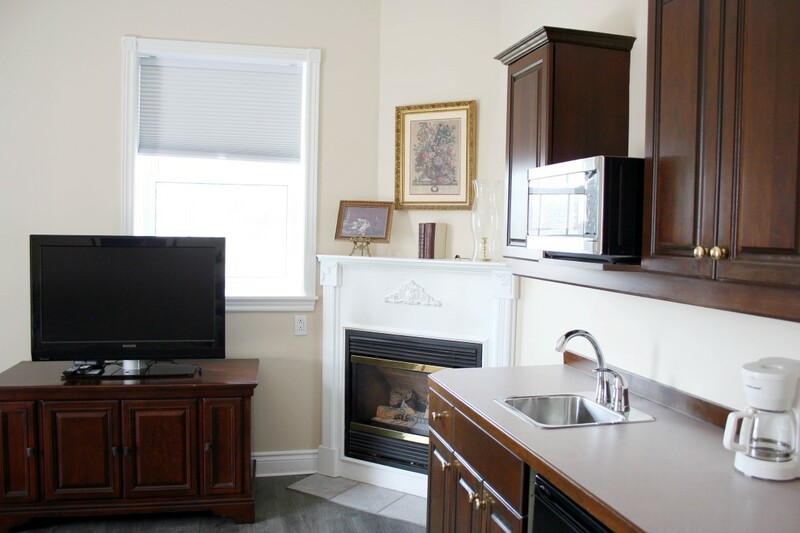 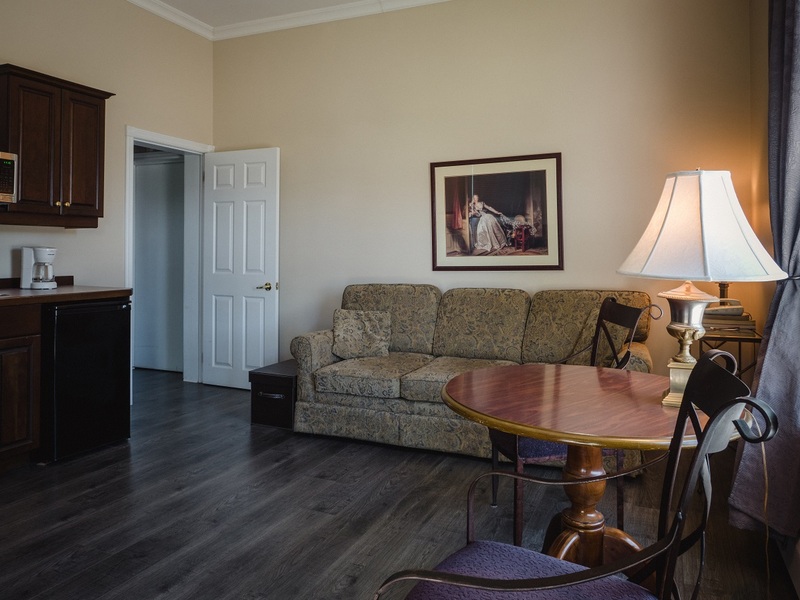 The large sitting room has a comfortable sofa, gas fireplace and wet bar. 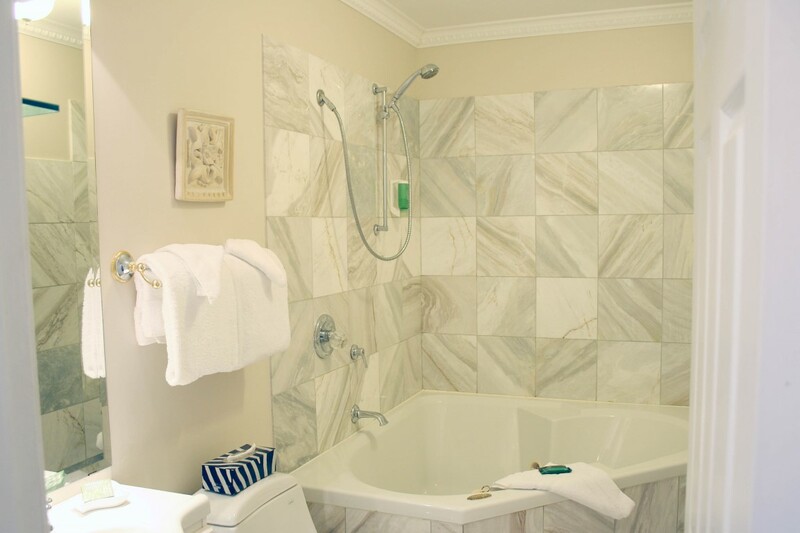 The marble bathroom features a corner whirlpool tub.